The free Jio Phones are finally here and now you can buy them as well. As Reliance jio site officially opened pre booking of jio phone on 24th August at 5:30 PM. First, you must complete the pre booking to buy Jio Phone. 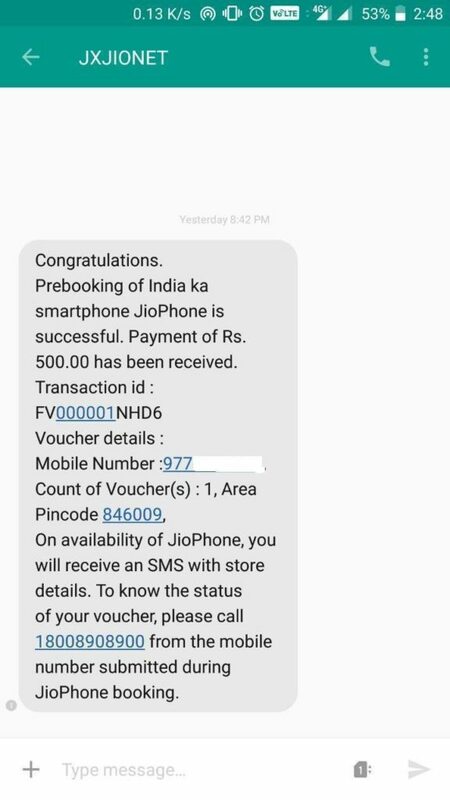 In case if you don’t know you need to pay 1500 Rs to buy Jio phone where you can pay 500 rs at the time of pre booking and you can pay the remaining amount at the time of buying jio phone. Once you have paid 1500 rs then you can get jio phone and in 3 years time, you will get the whole refund. Here we are giving a detailed information on Jio Phone booking time status problems with their solutions. Jio phone bookings are presently running in official jio site, you can simply visit jio site to complete your pre booking. But sometimes jio servers go down and your transaction may get failed in the middle. In this article, you can find details information about whole Jio Phone Booking. If you want to pre book jio phone the visit official jio site which is www jio com. Just submit your details and proceed to that next steps. Once you are done with the payment you will get a confirmation message on the mobile number like this. Visit nearby jio store and check whether they are accepting pre bookings or not. More than million people already registered for free jio phone booking. Till now jio hasn’t released a single unit into the market. In these days many mobile brands are running flash sales compared to normal sales. Still, it is unclear on how jio gonna sell these mobiles. We recently discussed with jio customer support so they gave us the above information. Jio phone is only available to buy from offline stores. The average time of jio phone sales is around 1 month. At the time of buying jio phone submit proper documents, if there is e-kyc jio phone activation method then take the aadhar card and scan your thumb print. Keep the registered mobile number active all the time. 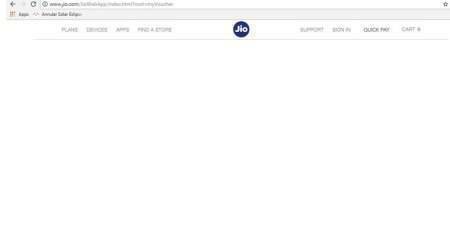 This is the more common Jio Phone booking problem in these days, you can visit jio main site which is jio.com but after that when you click on Book Jio phone it will give you a blank page. even if you reload multiple times it won’t work. This will happen if you provide any wrong number or inactive number to book jio phone. You can follow above solution to get your number updated in the database. Before that just call 18008908900 to know the status sometimes your message may take a while to be reflected. How many Jio Phones can we book? We personally checked in official jio site they will allow you to book 10 mobiles at a time. You can book all these 10 mobiles on a single number and single pin code or you can book them on a different mobile number and pin code. Sir…maine jio phone wrong no se book kar diya but…..199 pe call karne pe…koi option nhi aa raha h kya karu ab me..?